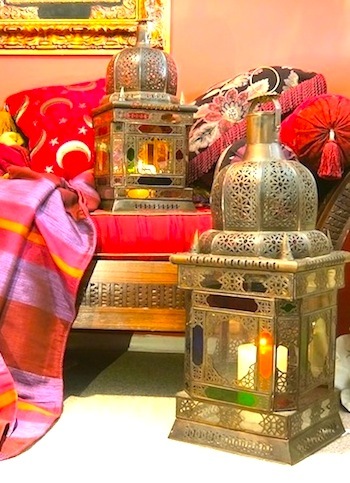 A larger lantern in a classic Moroccan shape. A circular, tapering creation of raised panels of cobalt, ruby, amber and emerald Royal glass, framed by clear glass panes in an antique brass surround. 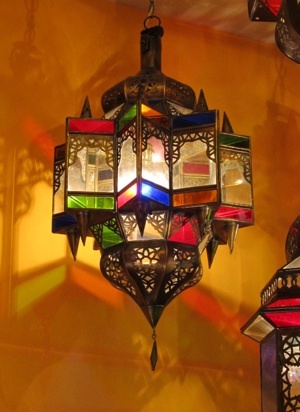 A wonderful light for a dining area or hallway, or dramatic lighting for an opulent bedroom. 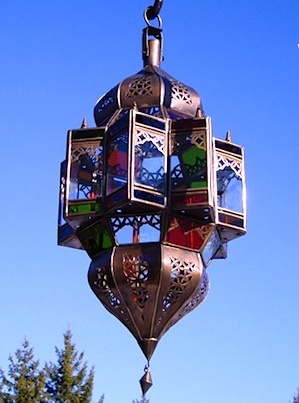 Same design as the smaller version of the Turret lantern shown below, but with different dimensions. Fabulous in a gazebo or as a welcoming light over an interesting front door. Looks great indoors too. a filigreed dome of antique brass. A simpler design than the Tangiers, this lantern works well in a foyer or stairway as the increased surface of clear glass provides plenty of visibility. 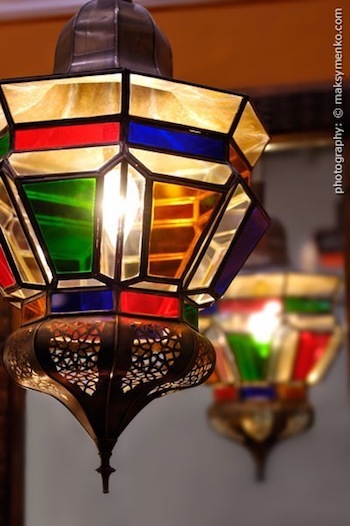 Panes of multicoloured glass border clear glass in a traditional Moroccan lattice.